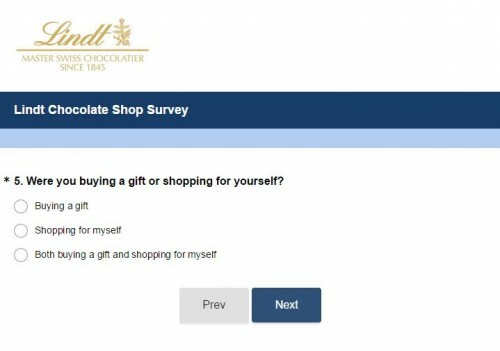 Was it the first time for you to shop in a Lindt Chocolate Shop or have you visited a Lindt Chocolate Shop before? What were you looking for in a Lindt Chocolate Shop during your most recent visit? Share your opinions about your last shopping experience as the more feedback you provide, the better they can perform next time. 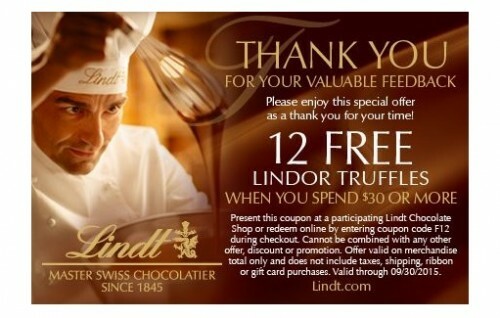 Moreover, you will receive a coupon for 12 free Lindor Truffles when you spend $30 or more in return for your feedback. If you want to participate in the survey, go to visit the survey site (Reference Link 1). 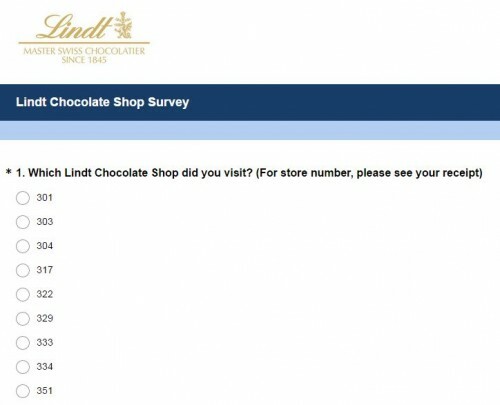 Before you start the survey, you should select the store number of the Lindt Chocolate Shop and press “Next” button. Tell them whether it was your first time of visiting a Lindt Chocolate Shop and whether the visit was planned before. What was the prompt and purpose of your last visit? 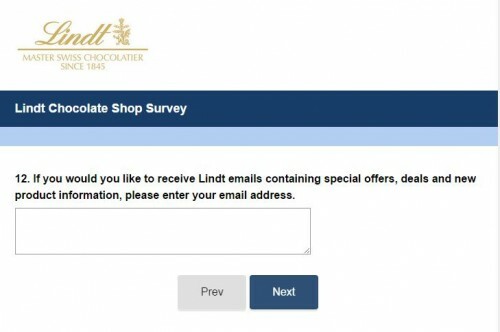 Based on your Lindt Chocolate Shop experience, what were the best parts for you? Before you finish the survey, you can decide whether to leave your email address to receive the newest product information. 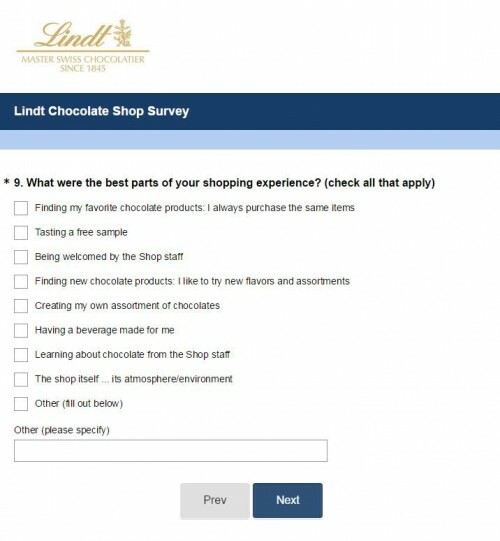 Your feedback will be rewarded with a coupon for 12 free Lindor Truffles. From 1845 to 2015, Lindt & Sprüngli has been remained committed to the vision of treating chocolate as an art. Lindt & Sprüngli has developed its own Lindt Chocolate Culture which guides itself providing chocolate with not only skill but also passion. You can not only enjoy milk chocolate, dark chocolate, chocolate bars but also create your own. All in one word, Lindt Chocolate Culture can fufill any of your chocolate dreams.